Maybe it’s from reading The Stand at an impressionable age, but the idea of a bird flu pandemic scares the bejeebus out of me. How much of the current alarm is agencies looking for funding and how much of it is genuine concern, I am not qualified to judge, but the sheer idea of something on the horizon that makes the influenza epidemic of 1918 look like the common cold is Not a Good Thing. Click the picture for larger version. Source: Dagens Nyheter. The resurrected (how scary of a word is that in this context?) 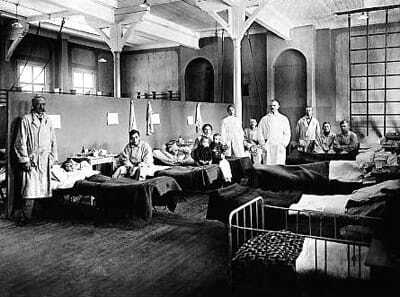 1918 virus is currently incarcerated at the Center for Disease Control and Prevention in Atlanta, Georgia. Hey, God? It would be pretty fab if no freak hurricanes hit Atlanta, okay?